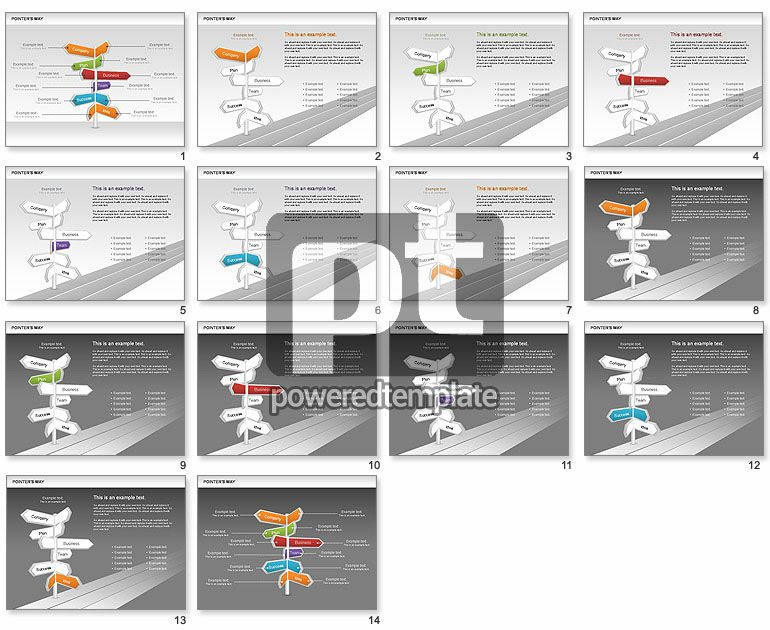 These presentation slides 30371 are complete compatible with Google Slides. Simple download PPTX and open the template in Google Slides. This road pointers set will help you give attentions to priority components of the business process.